Home>New Mixtapes>Smoke DZA Mixtapes> Smoke DZA Grabs Big K.R.I.T, Royce Da 5'9" & More On "Cuz I Felt Like It Again"
Smoke DZA recently came off tour with the Griselda camp and The L.O.X. For every date of the tour, he'd drop off a new freestyle over some notable beats. Today, he follows up the slew of loose freestyles with his latest mixtape Cuz I Felt Like It Again. Leave it to Smoke DZA to come through with a surprise mixtape at exactly 4:20 p.m. He and DJ Whoo Kid briefly teased the tape a few days a go. Someone tweeted that a new DZA tape would be solid, to which he replied "gimmie a day or 2." He kept to his promise and delivers twenty songs of pure fire. The project includes some of the freestyles he dropped off during his tour as well as some new joints. You could find "Dank Account," "Rayfuls Revenge," "After Party At Mikes," "Flair Country" and few others that he's already dropped. However, he does deliver some fresh collaborations. 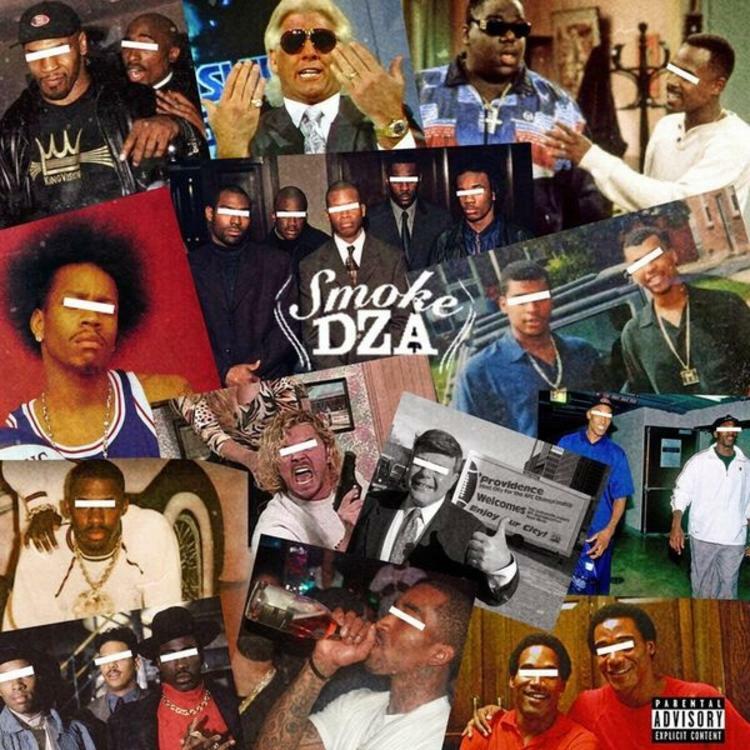 Royce Da 5'9", Cozz, Big K.R.I.T., Levy Green and tour mate, Westside Gunn, all come through for Smoke DZA on his latest body of work. It's another solid DZA release that we've been waiting on for a minute. It's a project filled with gritty production and slick wordplay. The project also has three bonus tracks including "Ganja Games" with Willy J Peso and Plus as well as NymLo's "Speedin" and his collaboration with Bluntsmoker, "She On My Joint." Cuz I Felt Like It Again serves as the second project from DZA this year as well as his first solo effort. That's not the rapper dropped Ringside 5back in April with producer 183rd. It was a short project so it's nice that to see he's back with over 18 tracks for his fans and supporters. The Kushed God finally returns with new music to smoke the whip out too. Stream Joji's Debut EP "In Tongues"
MIXTAPES Smoke DZA Grabs Big K.R.I.T, Royce Da 5'9" & More On "Cuz I Felt Like It Again"